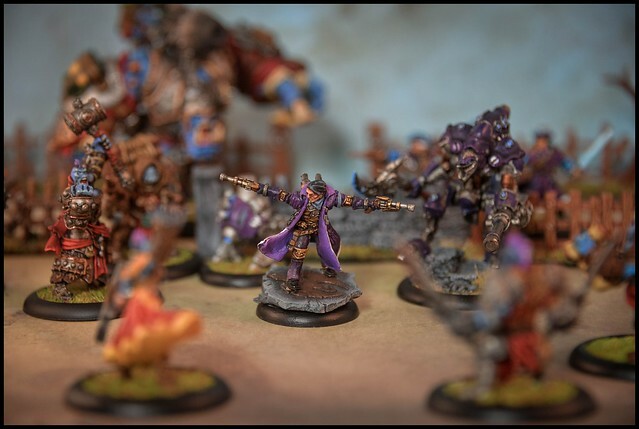 Another year is done, so time to look back on what I managed to get done at the painting table. I think this year represents some improvement in my skills (in particular with the smaller scale Infinity models), so these are the ten projects I'm most proud of this year! 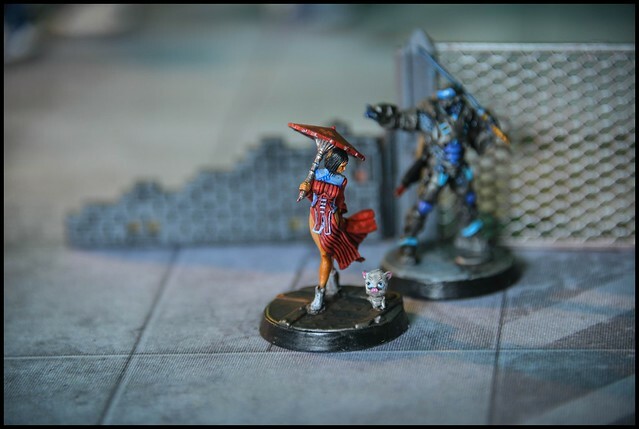 Sometimes you have to go back to move forward, and I definitely struggled with motivation when first tackling the smaller 28mm scale Infinity miniatures. You need to change how you work a little, and they require some different techniques, even a different approach. I tackled that by trying to paint a lot of them over the course of the year! 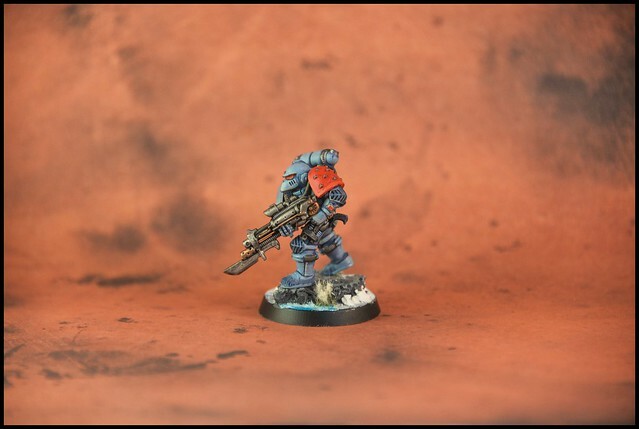 In all I painted up over fifty Infinity miniatures across both my Yu Jing and Haqqislam armies. Not sure I feel as comfortable with them yet as I do with the larger scale models, but I do feel the improvement happening, and am getting more comfortable tackling them. This one marked the first time I started to feel more comfortable with that smaller scale. I still find them harder than the heroic scale of Warmahordes or Warhammer, but I'm making progress! I couldn't go a year and not do some Tau models. I had a lot of fun crafting the removable display base for this one. 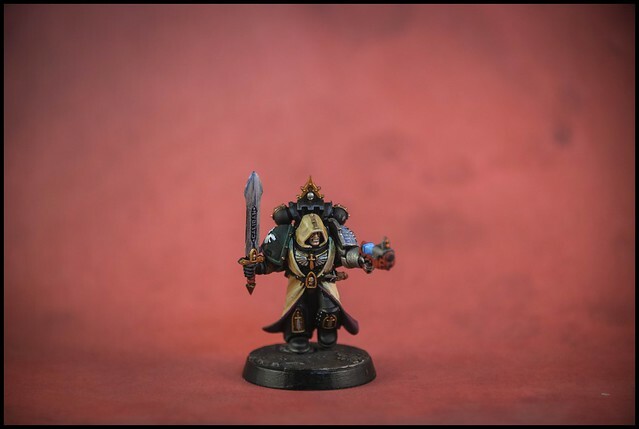 One of the highlights of the new Deathwatch miniatures for me! 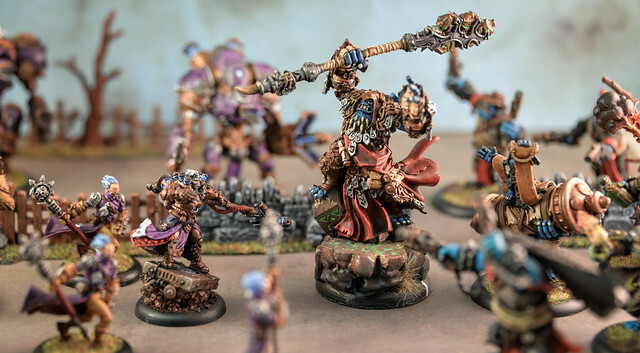 Representing my old Cygnar Army I finally got around to painting up the good captain as MKIII came onto the scene. Grouping these forces as a whole as I find it hard to pick out one. I love how these guys turned out! I think the color scheme and techniques worked well for the theme I set myself. 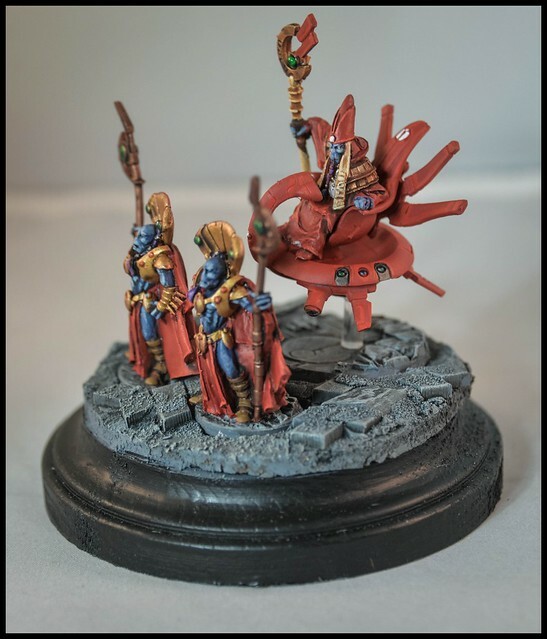 Memories of painting the original came flooding back when painting this wonderful new sculpt of the Eldar leader. This sculpt was an awesome tribute to the original marines, and was a lot of fun to paint! 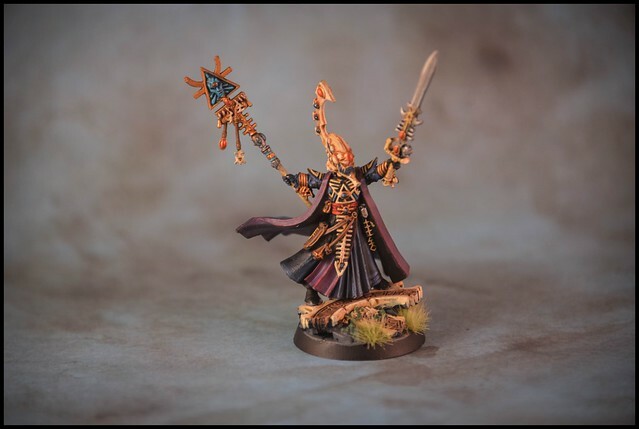 This was simply a miniature that I wanted to paint. 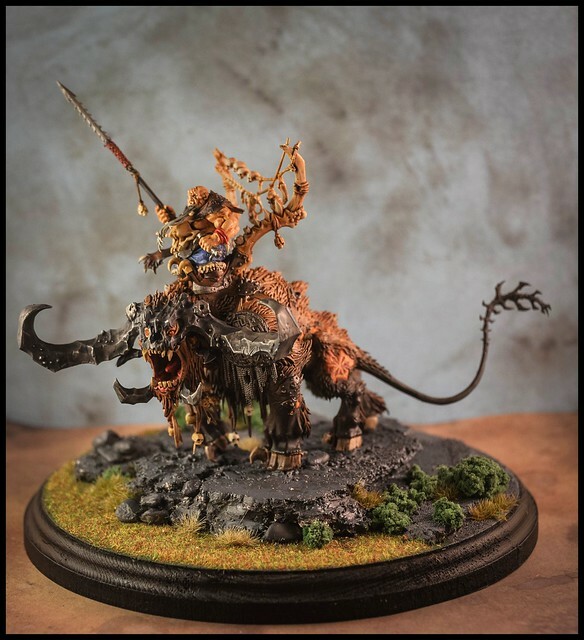 It was a fantastic project and I enjoyed putting together a suitable display base for him. Easily my favorite project this year. Everything came together so well for this one. 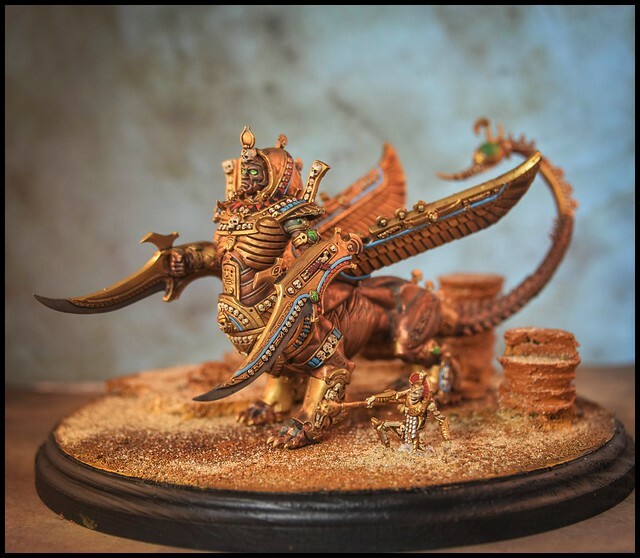 The base, the color scheme, even the timing was perfect, as I managed to pick one up before this model was officially retired by Games Workshop. Looking forward to new projects, and buffing the skills some more in 2017!